Today, the Federal Communications Commission (FCC) unveiled its plans to roll back net neutrality regulations, and if those plans are successful, we can say goodbye to the internet as we know it. Right now, paying for internet in the United States guarantees you free and open access to any website or service you’d like. You don’t have to pay extra for access to your favorite websites, and you don’t have to subscribe to additional services if you want more bandwidth for Xbox Live. This parity doesn’t happen because Comcast and Time Warner Cable are kind, charitable organizations—it happens because of net neutrality, or the principle that everything on the internet should be equally accessible. 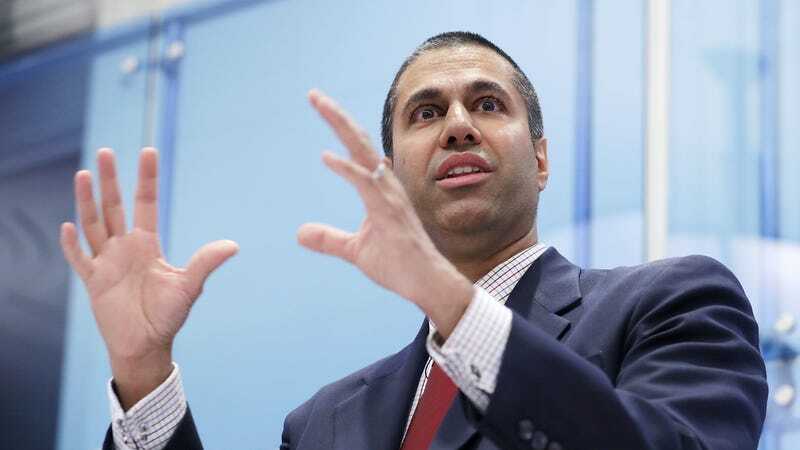 In 2015, after a long and protracted battle, the FCC implemented regulations that would prevent cable companies from violating net neutrality. Without those regulations, companies like Verizon could bundle together internet websites like cable plans, charging customers more for access to what they see as premium sites and content. The plan will go to vote on December 14, and is expected to pass thanks to a GOP-controlled commission. From there, perhaps there will be months and months of court battles, and perhaps we will all be screwed. If you’d like to help fight this, here’s a good place to start.